On a remote island, word is slowly spreading that a new breed of Dinosaur has been created by a megalomaniac park owner. His team of park rangers are instructed to keep the existence of this new dinosaur a secret until an indestructible army of mutated dinosaurs has been created and trained to obey the park owner and his team only. You and your team of explorers have been tasked to find all remaining dinosaur eggs hidden in the Raptor enclosure and return them to the safety of your lab. It’s up to you to catch all the eggs before they hatch and end civilisation as we know it. The top secret project is under constant surveillance by the park rangers and you and your team of explorers will need to move fast to execute a successful mission. Use the cover of abandoned safari jeeps to battle your way into the heavily-guarded Raptor enclosure and remove the dinosaur eggs one by one. 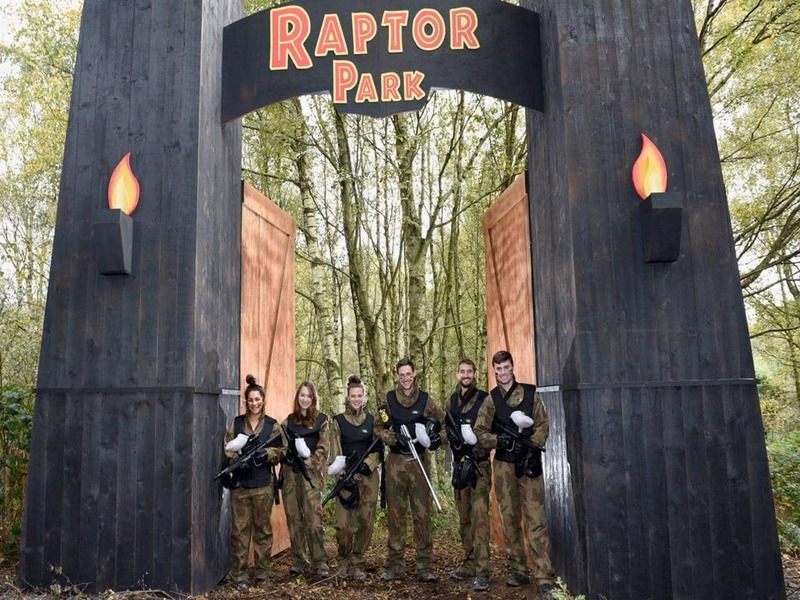 You can enter the Raptor enclosure on all sides, but the park rangers are on guard and ready to fire at anything that moves. Only stealth and cunning will ensure a successful mission for your team – and just remember – you’re being watched.